Montefiore continues to occupy a position in the top tier of U.S. News & World Report's Best Hospital rankings for 2018–2019. This annual look at hospitals across the country provides valuable information for healthcare consumers seeking the best care. Placing again in the top 1% for specialty care in Diabetes & Endocrinology, Montefiore continues to rank among the top 10% in Cancer, Gastroenterology, Geriatrics, Nephrology, Neurology, Urology, Heart Failure (CHF), Colon Cancer Surgery, and Chronic Obstructive Pulmonary Disease (COPD). In addition to Montefiore's strong performance on the national level, we rank in the top 10 both in the State of New York and the New York Metro area, a notable achievement in a region of the country with an extraordinary concentration of high-performing medical institutions. Montefiore and our Einstein College of Medicine embrace the principle of doing more for every patient in every community we serve. Discovering new lifesaving treatments, deploying the latest technologies and delivering the coordinated, compassionate care every patient deserves keeps Montefiore in the top tier of the nation's hospitals. In a first for the tristate area, Montefiore recently opened the new Immunologic Diseases Center of Westchester. As the only center of its kind in the region, the Center specializes in the treatment of all diseases that affect the immune system of adult patients. The Center's collaborative environment is host to a team of Montefiore specialists who bring extensive expertise in the areas of allergy, gastroenterology and rheumatology to provide comprehensive, patient-centered medical care from diagnosis to treatment. Patients gain access to new research, clinical trials and the most advanced and innovative medical technology, which support more successful patient outcomes. In the future, services in the areas of dermatology, endocrinology and pulmonary medicine will be added to the Center. The Immunologic Diseases Center of Westchester will be located at 150 White Plains Road, Suite 200, Tarrytown, New York 10591. For more information, please call 914-631-2895. Big changes are coming to Montefiore New Rochelle with major renovations underway. The hospital expansion and modernization project includes upgraded state-of-the-art Emergency and Radiology Departments. When complete in late 2019, the Emergency Department space will consist of 34 private bays where patients will be directed to one of three designated areas designed to better serve them: adult, pediatric and behavioral health. Navigators will be on hand to assist patients, and there will be separate observation units for adult and pediatric patients. This expansion will provide a larger space for Radiology to include the hospital's first MRI, and a new state-of-theart 64-slice CT (computed tomography) scanner to accelerate and improve the quality of 3D imaging. "Montefiore New Rochelle, while the largest employer in New Rochelle, is still at heart a community hospital," says Tony Alfano, Vice President and Executive Director, Montefiore New Rochelle. He continues, "We look forward to being a bigger, better health resource for a community that so richly deserves one, without losing any of our small-town feel." 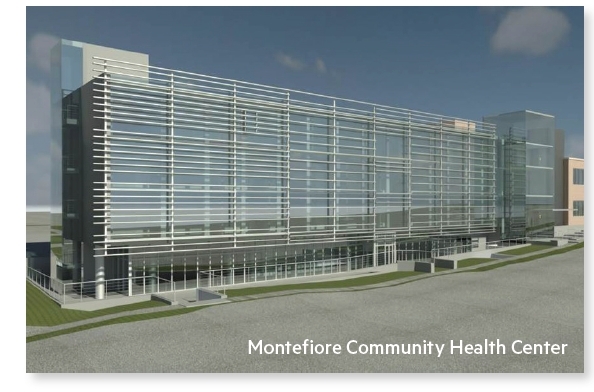 Montefiore New Rochelle is also renovating its outpatient clinic, creating Montefiore New Rochelle's Community Health Center. The Center will reflect the most current healthcare design and house state-ofthe- art equipment as well as offer convenient expanded hours. Internal medicine, OB-GYN, pediatrics and specialty services will round out the upgraded offering. In addition, the Center will include a health education training institute, HETI, a training space for associates improving their skills or those just embarking on a healthcare career. Learn more about Montefiore New Rochelle at montefiorehealthsystem.org/newrochelle. 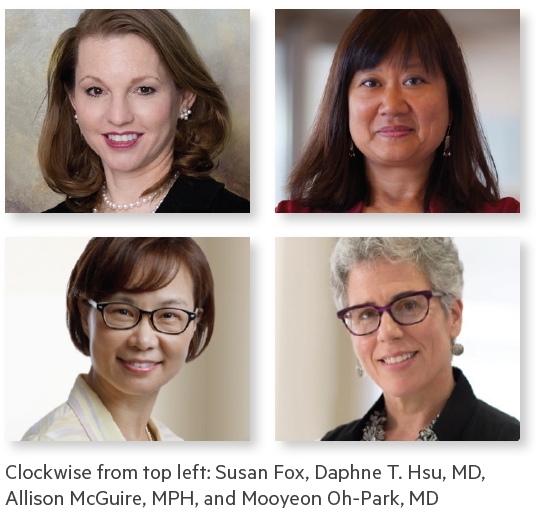 Montefiore's heartfelt congratulations go to Susan Fox, Daphne T. Hsu, MD, Allison McGuire, MPH, and Mooyeon Oh-Park, MD, on their inclusion by Crain's New York Business in its inaugural section celebrating notable women in healthcare. Susan Fox, President and CEO, White Plains Hospital, has the distinction of being one of the first female CEOs of an acute care hospital in Westchester, bringing to it a vision that redefines community healthcare by, among other things, making care more available on a local level leading to better outcomes for patients. Dr. Hsu is Professor and Interim Chair of Pediatrics, Albert Einstein College of Medicine; Division Chief, Cardiology; Co-Director, Pediatric Heart Center; and Interim Physician-in-Chief, Children's Hospital at Montefiore. She brings dedication and expertise to the treatment of children with heart failure often creating lifelong relationships. Ms. McGuire is Vice President, Integrated Health Systems, and Executive Director, Montefiore Hudson Valley Collaborative, and is known for her leadership of strategic initiatives related to the redesign of health service delivery within community-based settings, with a focus on underserved populations. Dr. Oh-Park, a recognized leader in physiatry and recipient of 14 teaching awards, was recently welcomed to her leadership role of Senior Vice President and Chief Medical Officer at Burke Rehabilitation Hospital. 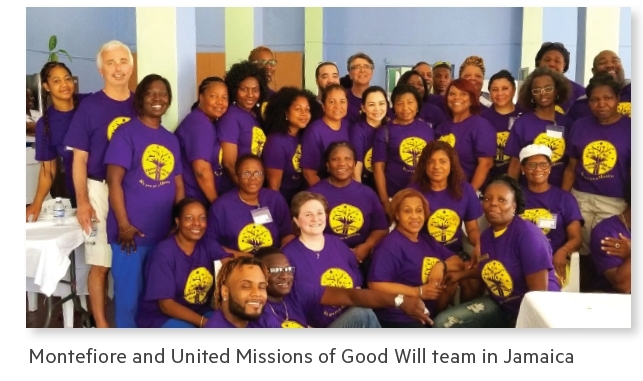 A team of dedicated Montefiore health professionals teamed up with United Missions of Goodwill for their sixth year of collaboration to bring healing to rural residents of Jamaica in the West Indies. In addition to providing point-of-care service, the organization donates equipment and supplies to healthcare facilities and schools, bringing lifesaving resources to underserved populations. The most recent mission, which was led by Carol Grant, MD, Attending Physician, Gastroenterology, Montefiore and Lorna Rawle, CRNA, Montefiore's New York Associates in Gastroenterology, brought the team to Princess Margaret Hospital in St. Thomas, Jamaica, where care and preventive services were offered to hundreds of patients. Volunteers generously supported this mission with their time, while donors provided needed funding and institutions donated equipment and supplies. The Montefiore Einstein Center for Cancer Care donated an Olympus GI endoscopic device, which allowed the team to perform procedures such as colonoscopies and upper endoscopies. Montefiore's latest collaboration saw a team of gastroenterologists, surgeons, anesthesiologists, nurses, GI technicians and social workers complete some 215 procedures during their one-week effort, including a health fair attended by 380 visitors. Montefiore’s advanced pathology platform, Epic Beaker, is now live at Montefiore Hospital (Moses Campus), Jack D. Weiler Hospital (Einstein Campus), Montefiore Wakefield Hospital, Montefiore Hutchinson Campus, Westchester Square Campus, Montefiore Medical Group and Montefiore Faculty Practices. 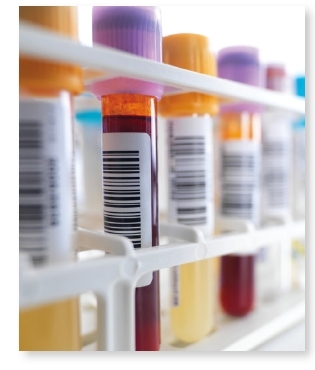 Connecting our network of care across Montefiore, Epic Beaker provides a more streamlined process for collecting and tracking specimens, testing and reporting, as well as coordinated workflows for anatomic pathology (AP) and clinical pathology (CP). This seamless integration between laboratories and the Epic@Montefiore system improves the management of patients’ lab orders throughout Montefiore Medical Center. Visit the Epic@Montefiore intranet to learn more about Epic Beaker. Researchers at the Montefiore Medical Center/Albert Einstein College of Medicine are conducting a study in adult smartphone/tablet users. Smartphone use has become prevalent over the last 10 years amongst many Americans. People who spend extended periods of time looking at their smartphone screen may experience eye discomfort. This research will involve assessment of smartphone use via surveys and observational studies. The volunteer will also have an eye examination performed by the physician. This goal of this study is to assess the impact of increased screen time on eye health. Reimbursement or compensation for participating will not be provided. Montefiore Einstein and Honorary Chair, Paul Ammirato, present A Taste of Italy. 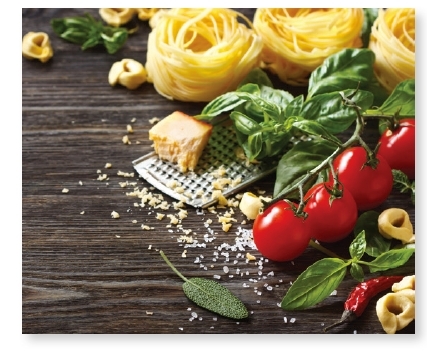 Join us for an evening of food, wine and music inspired by the Little Italy neighborhood on Arthur Avenue in the Bronx. This event raises funds to support the Phoebe H. Stein Child Life Program at Children’s Hospital at Montefiore. The Child Life Program complements medical treatment by focusing on the emotional and developmental needs of pediatric patients through medical play, procedural preparation, art and music therapy, and bereavement support. To purchase tickets, vist www.montefiore.org/italy or call 718-920-6656. Our physicians, staff and patients hope to see you in the garden!